The financial markets and services providers regulator of Switzerland – FINMA – has warned of unregulated offshore forex broker – Xmarkets. The Swiss Financial Market Supervisory Authority (FINMA) is the Swiss government body responsible for financial regulation. This includes the supervision of banks, insurance companies, stock exchanges and securities dealers, as well as other financial intermediaries in Switzerland. 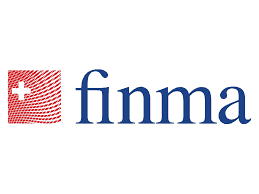 FINMA keeps a close eye on the unregulated brokers and usually warns in a timely manner of those who make false claims of Swiss regulation or location but are not Swiss-regulated. Xmarkets operates through the website www.xmarkets.com and offers forex trading. The company is owned and operated by Celestial Trading Ltd, Seychelles-based entity. The broker also uses the service of the UK-based payment provider Celtic Pay Ltd. As to the Celestial Trading Ltd, offshore registration usually doesn’t guarantee the safety of funds and clients’ protection, especially in the Seychelles, where local authority doesn’t regulate forex businesses. In addition, Xmarkets have also been blacklisted by the Financial Conduct Authority in the UK. There are many negative reviews about the broker can be found online. People tell about the unacceptable experience they had with Xmarkets, pointing out the fraudulent activities of the company with tricking and taking client’s money without giving a possibility to withdraw it later. When engaging with brokers that do not operate on the grounds of a valid license, issued from a trustworthy authority, traders are putting their investments at higher risk. It is better to avoid dealing with offshore brokerages and choose properly regulated and reliable brokers. A good example of such are the ones supervised by the FCA or FINMA. You can read our review on this broker here. Forex trading carries a high level of risk and may not be suitable for all investors. Before you engage in trading foreign exchange, please make yourself acquainted with its specifics and all the risks associated with it. All information on 55brokers.com is only published for general information purposes. We do not present any guarantees for the accuracy and reliability of the information. Any action you take upon the information you find on this website is strictly at your own risk and we will not be liable for any losses and/or damages in the use of our website.